Our household recently grew by one member, and we’re super proud! While he isn’t a biological member of our family, that doesn’t stop us from loving him like he is! Coming to us at just 7 ½ weeks, he’s a bit nervous as you can imagine. 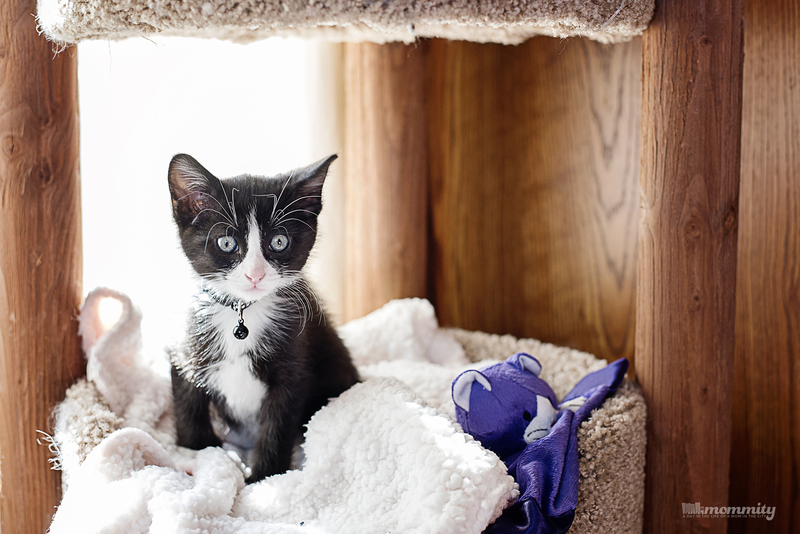 He came to us straight from a barn, so our goal right now is helping him adapt to his new environment. In case you’re getting a little freaked out by this point, I should probably mention that the new member of our family is an adorable little kitten! Mittens is his name! When we decided to bring home our first fur baby, we were certain we’d thought of everything. We began by versing the children in all the ins and outs of caring for an animal. We stressed to them how important it is to care for him and love him just like he’s a part of our family… because he is. The one thing we didn’t count on, however, is all of that to back fire right in our faces! We forget the most important lesson of all when it comes to family…. respecting personal space! 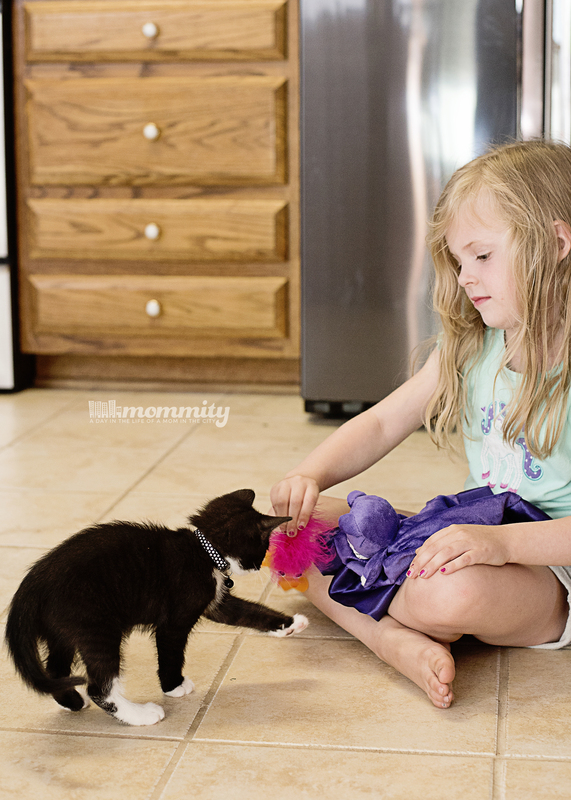 In the excitement, the kids have been loving all over little Mittens, and he’s still warming up to them. With two little ones staring at you all day and giving you loving, I don’t blame him for being a bit nervous! 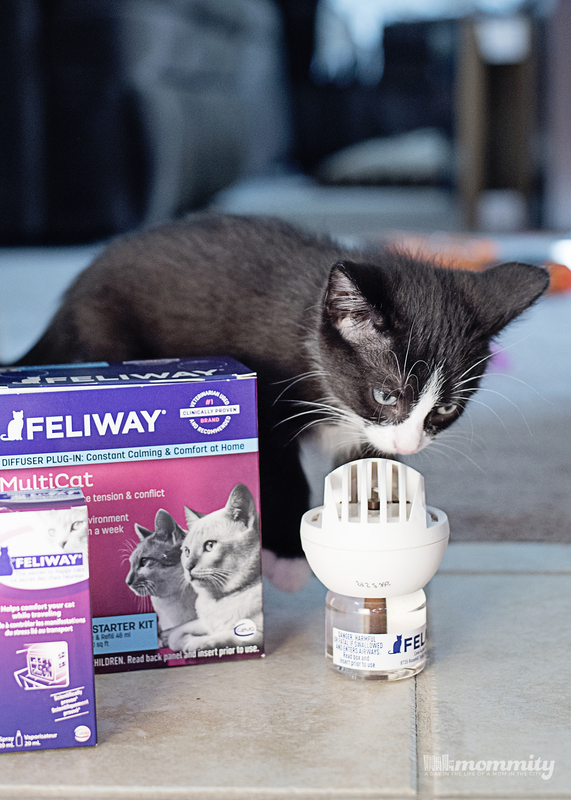 One way we’re helping Mittens have a smooth adjustment is by using Feliway®. It’s a synthetic replica of the “Feline Facial Pheromone” that’s naturally produced when cats are happy. That pheromone is the reason why cats are always rubbing their cheeks against objects, that’s how they show their happiness. By mimicking this, Feliway allows Mittens to feel more comfortable and secure in his new environment. It always makes me feel better knowing that the bonding process between him and the children will be a lot smoother. 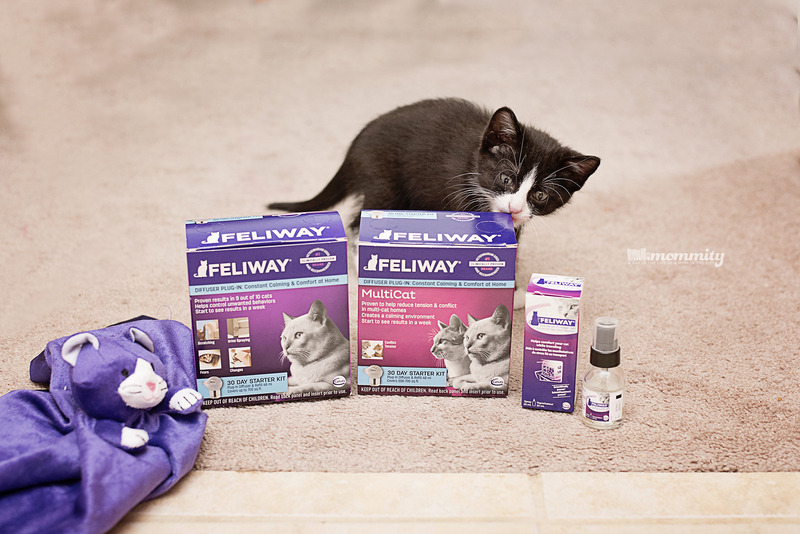 If you’re planning on introducing a new member into your family (and their of the Feline species), I’d strongly recommend using Feliway to make them comfortable and #FearFree during transition. It comes in several forms like a diffuser, spray, and wipes. There’s even a multi-cat formula that helps reduce aggression in multi-cat households! Find out more on the Feliway website or Check them out on Facebook to learn more! ← #1 Way to Keep Little Hands Clean at the Park and at Play!